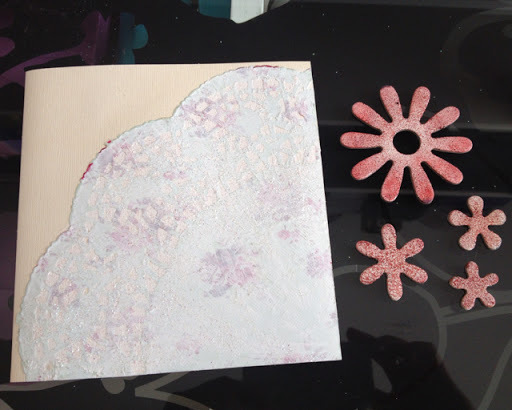 In the February 2011 issue of Craft Stamper there was an article of DIY distressing with salt. I thought I might give it a try with some colored chipboard that I have. This 1st card is done like in the example, with watermark inkpad and white embossing powder. 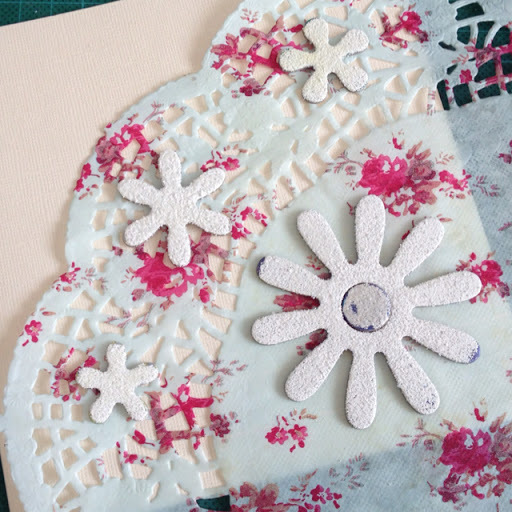 Then heat again and sprinkle salt on the hot embossing and heat again to make it stick. I then colored them with red Distress ink. 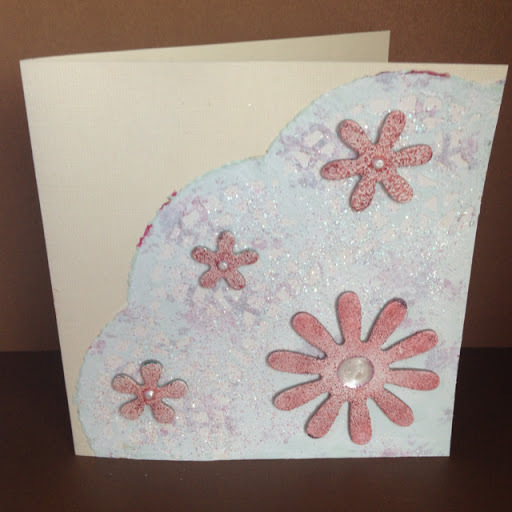 Then I glued the cake paper on the card and gessoed it, and finally sprinkled glitter on it. Left a small border to match the flowers. And here is the finished card with the flowers mounted, and a center of mother-of-pearl Pearl maker.